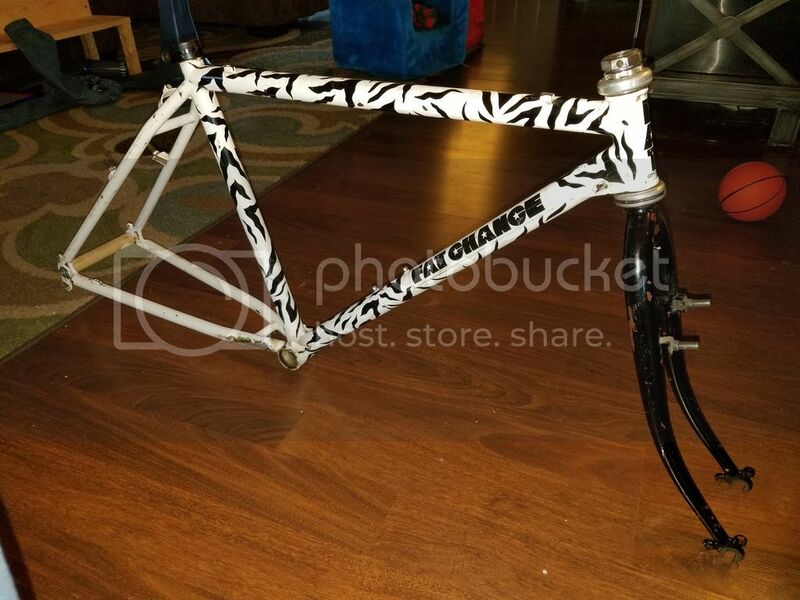 Recently acquired this 1985 Fat Chance with the zebra paint scheme. The headtube has a gusset I haven't seen on any fats before. Anyone have anymore info on this? Is this the same Rick that I bought the tiny Monster Fat from? I love the way that the Monster came out, he must love it. That's a cool frame for certain! My guess is that it may have been a repair. 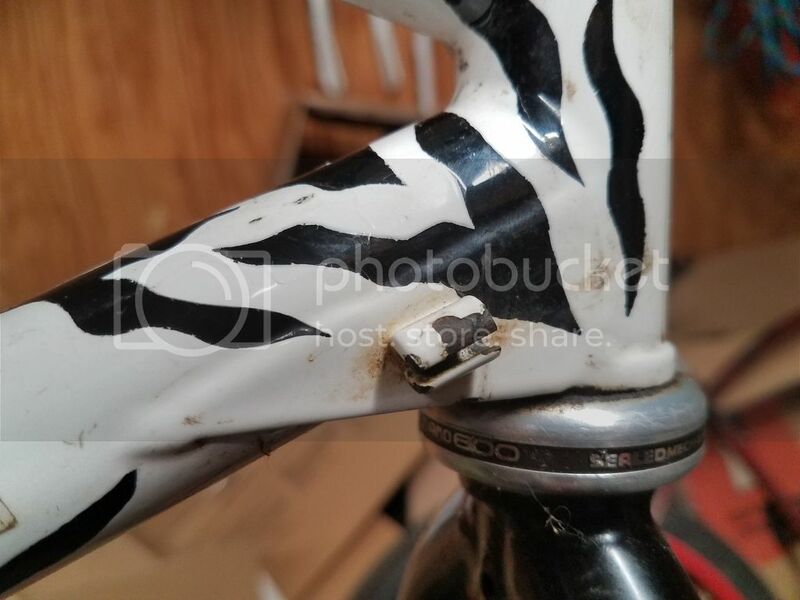 Since this was before the introduction of the "double-chin" gusset, it's possible that the headtube-downtube weld cracked and was sent back for repair under warranty and in order to strengthen the area this type of gusset may have been added. I don't remember exactly but I think some early trials frames had this style of gusseting as well since trials riding was very stressful for that tubing intersection. Or maybe that's just a smoky shop thing again? ?